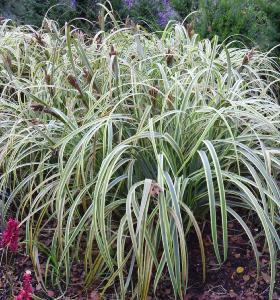 Carex trifida 'Rekohu Sunrise' is a very pretty bold evergreen with all year round interest. 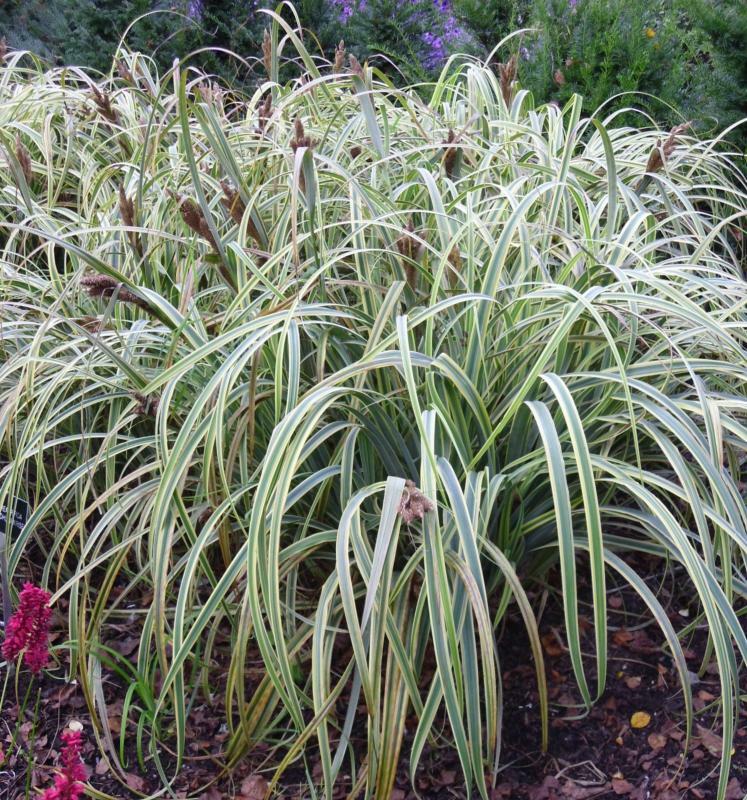 Foliage is bluey-green and creamy yellow edged forming tidy pendulous rosettes during winter and spring. 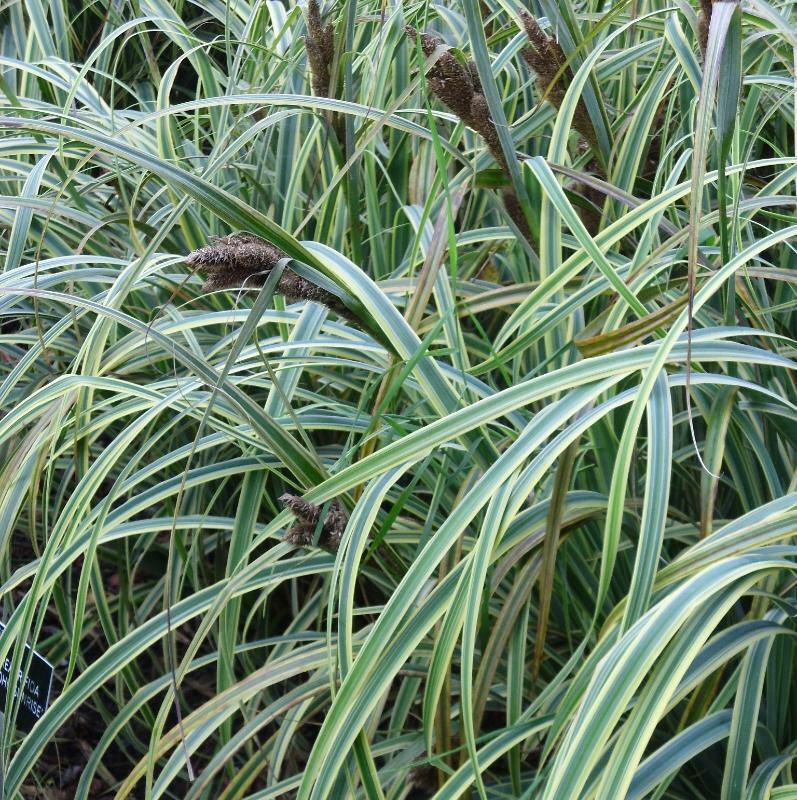 From May to July interesting long brown catkins appear on thin arching stems. 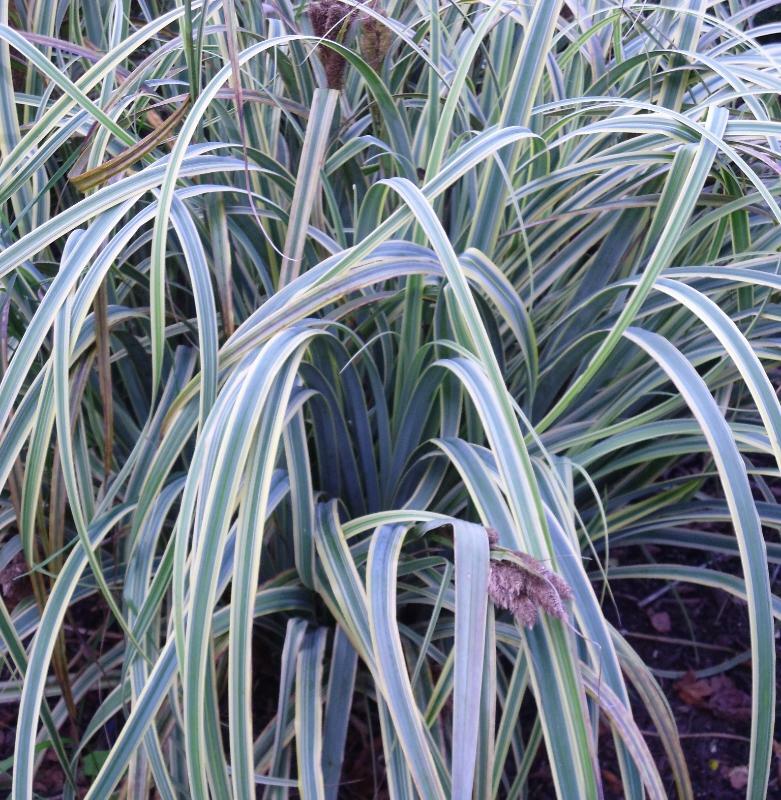 In winter the foliage become more blue and the yellow turns more to cream. Hardy. Height up 75cm with a spread slightly greater. These plants make wonderful container specimens but are also great ground cover in groups planted in open border or in light shade.